This morning I had the pleasure of photographing another beautiful Zilker Botanical Garden Wedding here in sunny Austin, Texas. 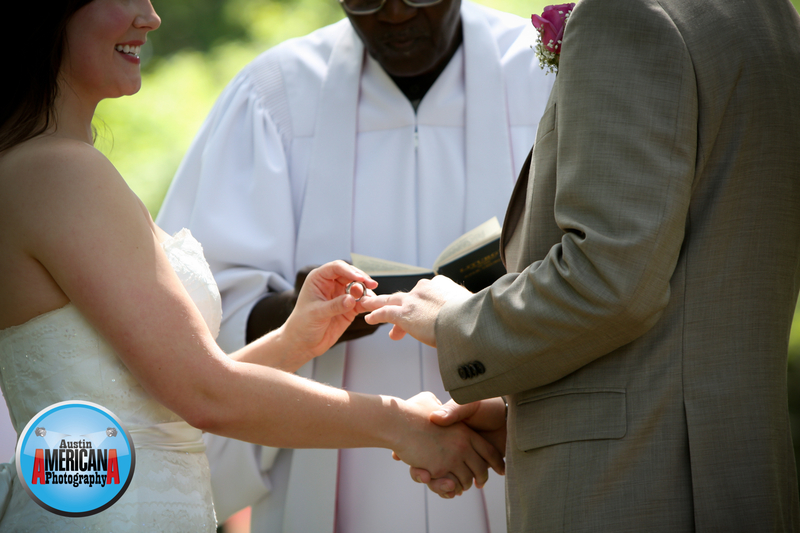 I’ve done enough July and August weddings in Central Texas to appreciate the “mild” weather that this April has brought us. Today was partly cloudy in the high 80’s/low 90’s and luckily most of Zilker Botanical Garden in shaded. 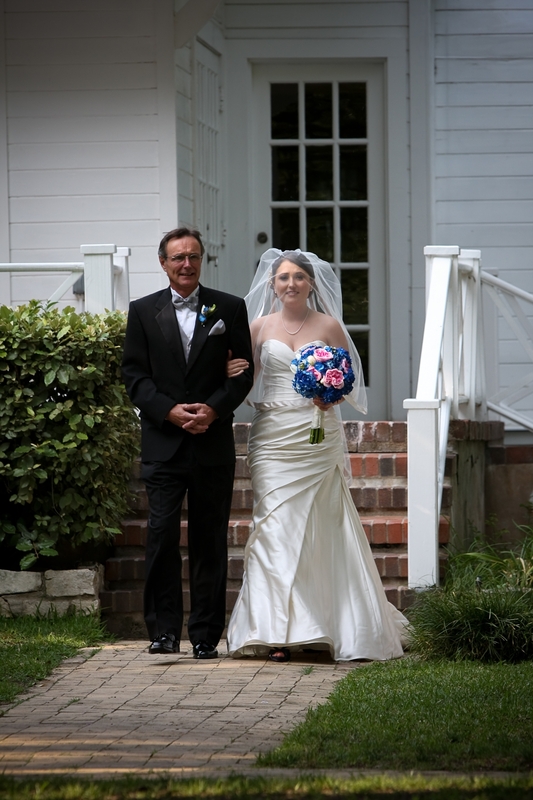 We were also lucky enough to have relatively cool breezes blowing through the garden, which I’ll admit didn’t prevent sweating, but did make the day bearable and somewhat enjoyable. 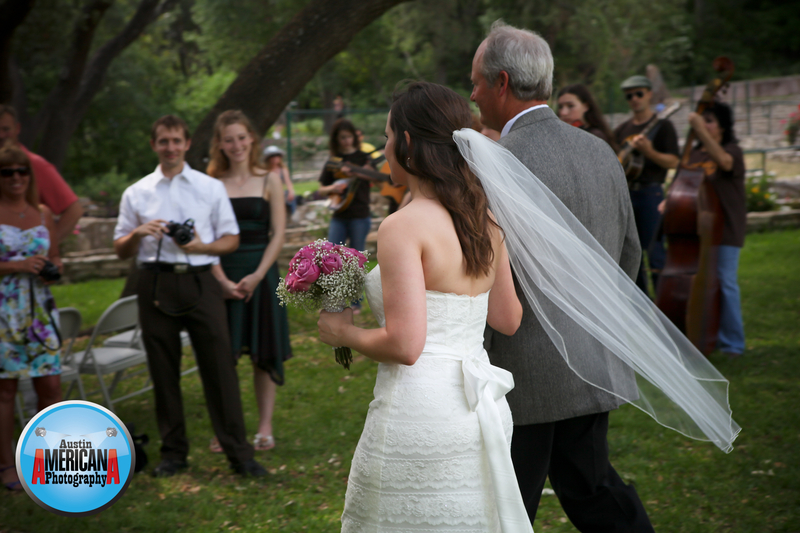 Here’s a sneak peak of a couple of Zilker Botanical Garden Wedding Photos from today’s Austin wedding. Enjoy! 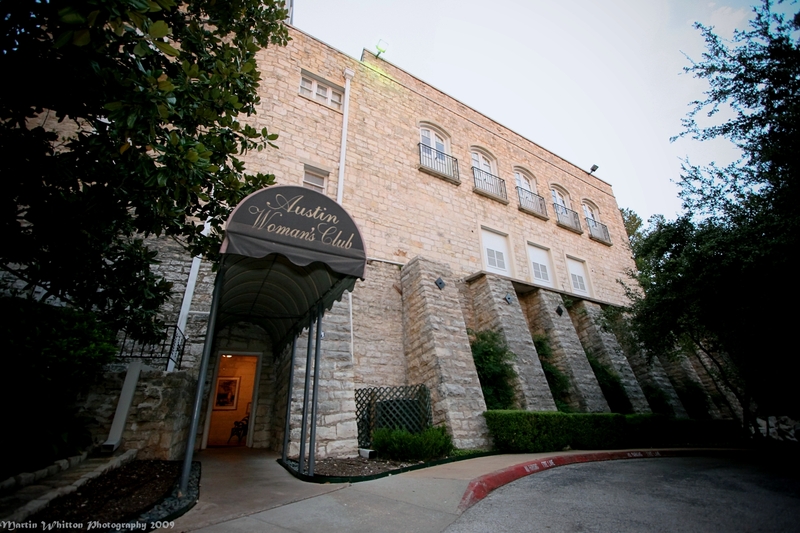 Another one of Austin’s wedding venues which is a bit of a hidden gem is Austin Women’s Club/ Chateau Bellevue, located in Central Austin. I can’t help but believe that we as individuals make up a “collective consciousness”. I say that because a few weeks ago while I was talking to a vendor at Allan House where I was shooting a wedding, the topic of Chateau Bellevue came up and we talked about how it was so unusual with it’s multiple levels, historic look (right down to the antique furniture) and it’s connection to an older Austin, Texas. 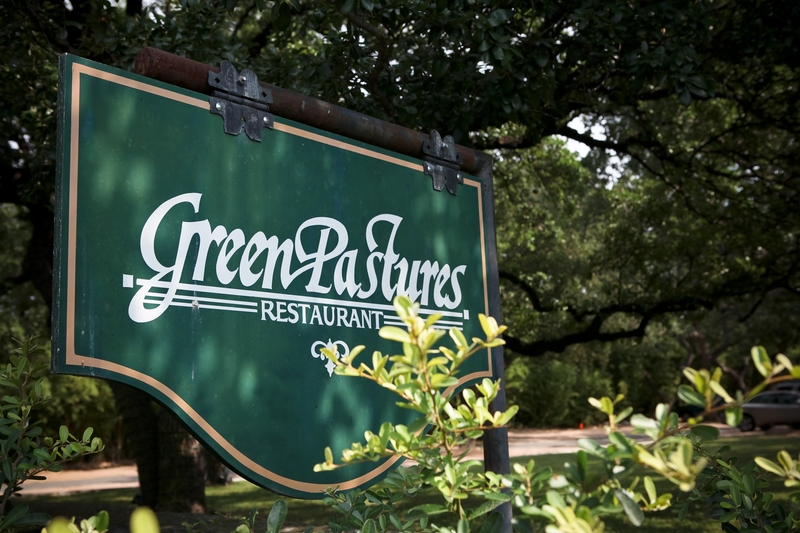 Green Pastures Restaurant (also known just as “Green Pastures”) is beautiful inside and out, it’s charming, it’s staff are the friendliest (really!) I’ve ever met and it’s quiet. 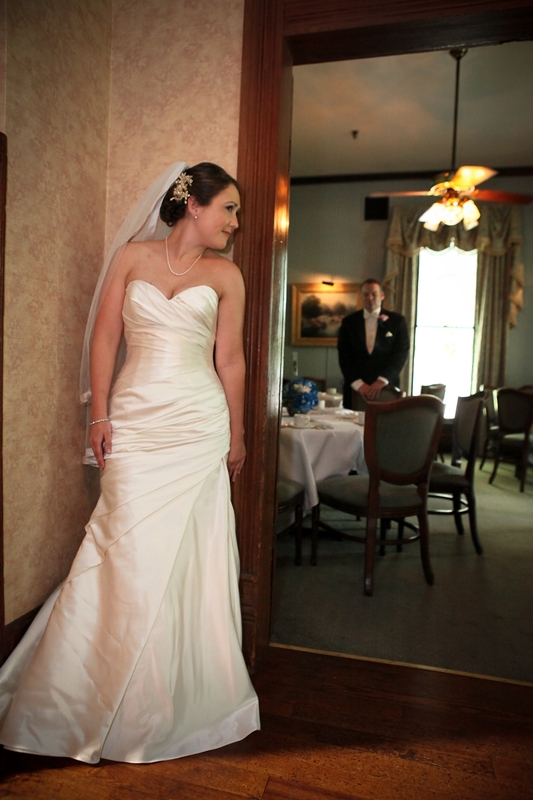 First, this historic home which hosts weddings, meetings and other events has been around for a long time. It was built in 1894 by Dr. E.W. Herndon. 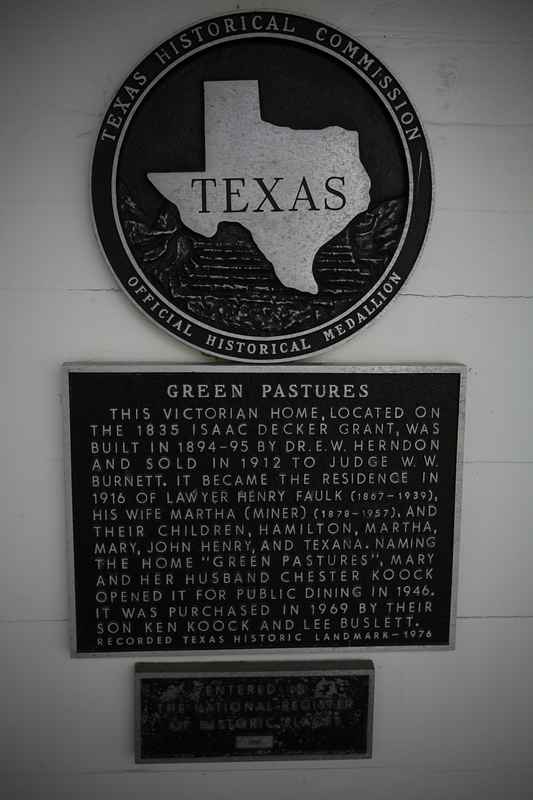 The legendary attorney John Henry Faulk (for whom the Faulk Library is named) resided there, as did a number of other families throughout the years. In 1946 the Koock Family turned the home into a restaurant and today it’s still known world-wide for it’s 5 star cuisine and service. 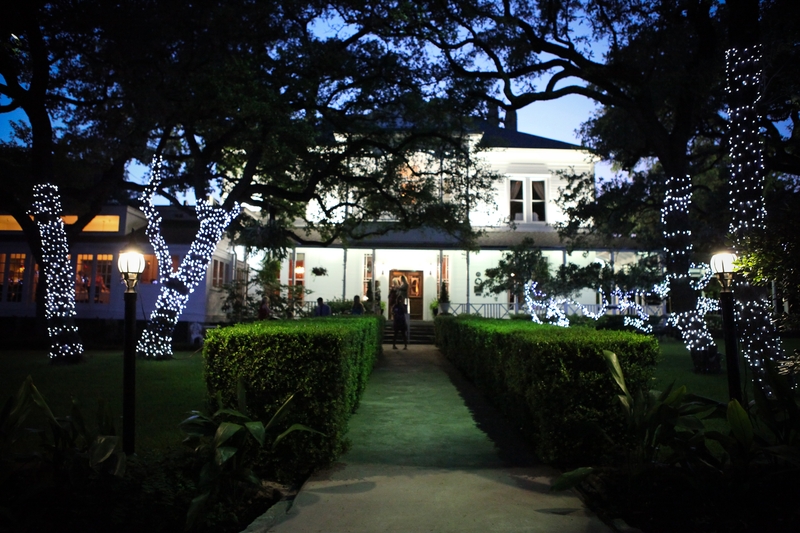 Not only can you enjoy fantastic food, but you’ll also feel like you’re on a southern plantation. The home is spacious inside and fitted with patios and covered porches overlooking acres of green trees, grass, gazebos, gardens and more. A number of peacocks roam the estate, including two rare male albino peacocks. 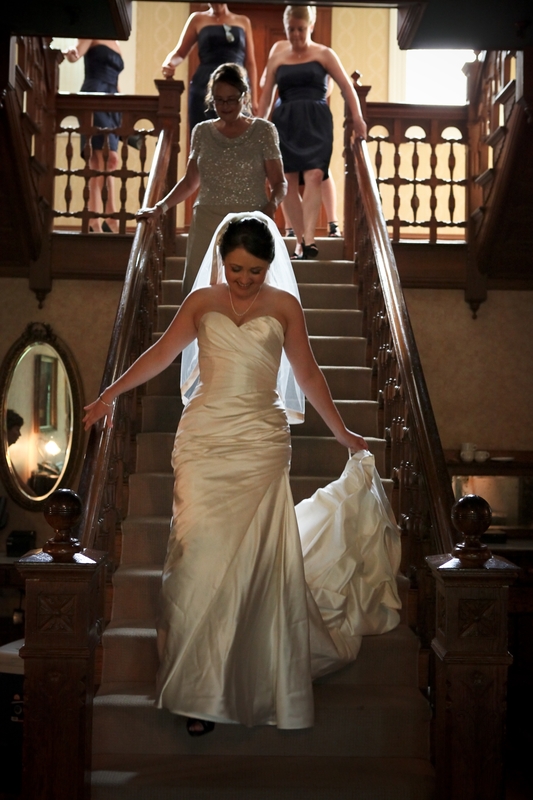 Martin Whitton is a passionate wedding photojournalist who lives and works in Austin, Texas. Email your questions to him at martin@mwwphoto.com.